The PENTAX X-5 will close the distance between you and the perfect shot. 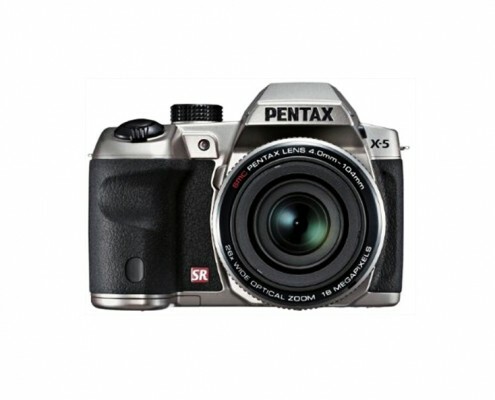 Its 26X super-telephoto zoom lens, articulated LCD and high-resolution electronic viewfinder enable effortless composition and convenient playback. So go ahead, hike a little higher up that mountain—the X-5 will minimize the distance between you and the perfect shot. 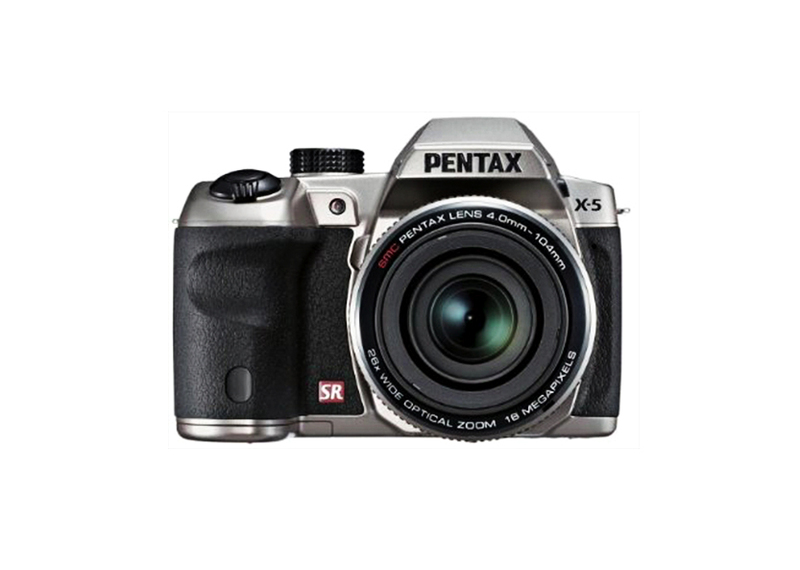 Close the distance between you and the perfect shot with the X-5’s super-telephoto 26X zoom lens (22.3-580mm equivalent). 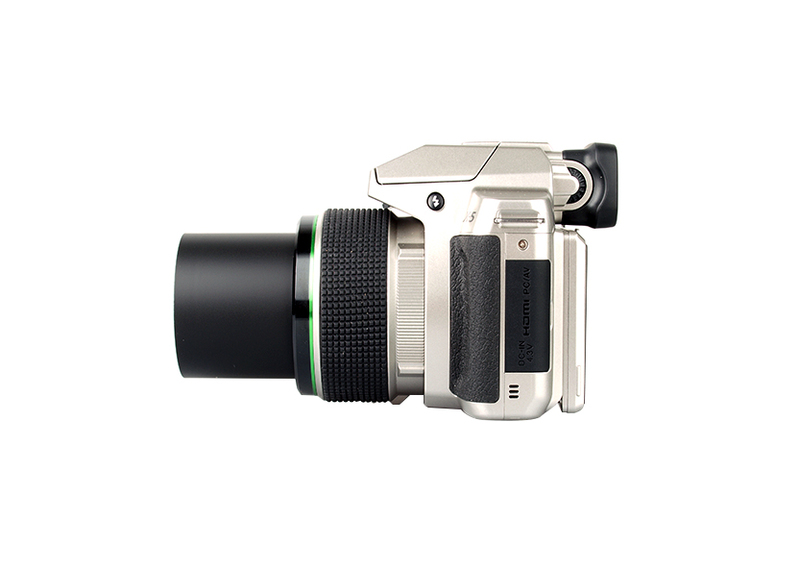 This zoom feature ensures extreme flexibility for any scene or subject, near or far. Enjoy effortless image composition and image playback with the X-5’s large tiltable 3.0 inch, high definition LCD screen. 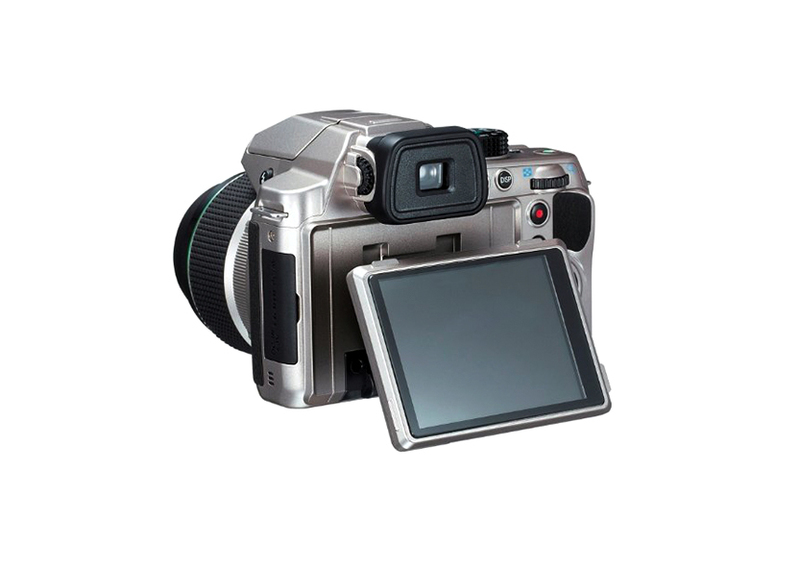 This exceptional LCD screen offers sharp image viewing, even in bright sunlight, and allows users to shoot from high and low angles to keep the subject neatly framed in the image area. 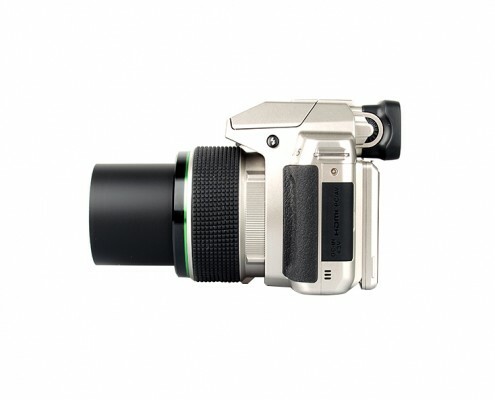 Capture full HD 1080p widescreen video at 30 FPS with high quality h.264 compression, and enjoy creative movie playback features, such as High-speed Movie mode for slow-motion playback and Time-lapse Movie mode for fast-forward playback. Share your work with ease as the X-5’s micro-HDMI port (Type D) plays back beautiful high resolution images, video and sound to external devises such as HDTVs. Get closer to the flowers, capture the smallest details, and reveal super crisp expressions from your subject, from as near as 1cm, with the Super Macro Mode. The X-5 also comes with an Auto Macro function, which automatically switches the focus mode to Macro when it detects the subject is close to the lens. 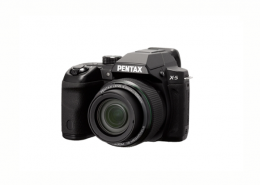 Capture beautiful, high resolution, low noise imagery with a state-of-the-art image processing engine and back-illuminated, high performance, 16 megapixel CMOS sensor. 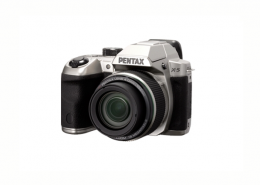 Even while shooting up to ISO 6400, the PENTAX X-5 provides users with very high resolution images. 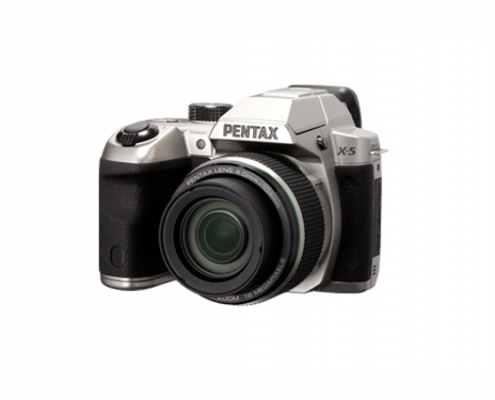 The X-5’s triple shake reduction system couples the PENTAX developed mechanical sensor-shift-type Shake Reduction (SR) mechanism with a digital SR mode for stills or movie SR mode for video to more effectively compensate for camera shake. This hybrid system assures sharp, blur-free images and video, even in the most challenging camera-shake prone and low lighting conditions. The 260,000 dot resolution electronic viewfinder provides effortless composition and DSLR-like handling. 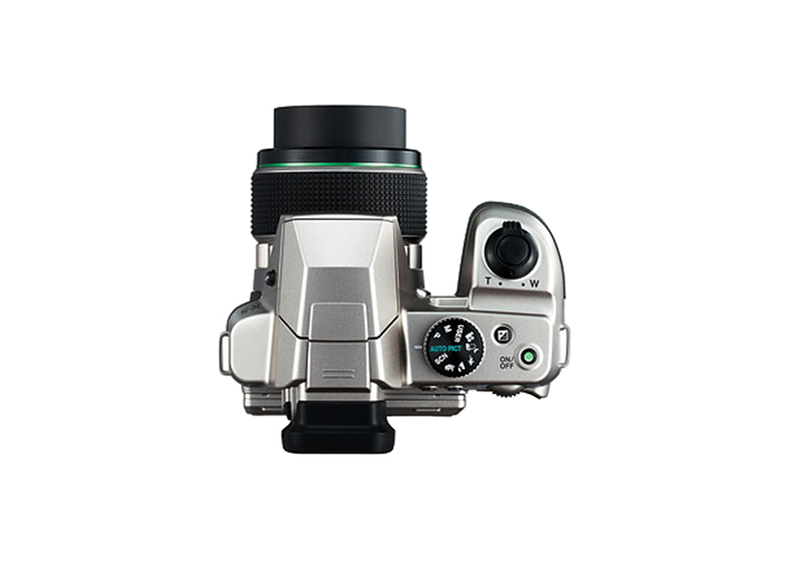 What you see is what you get as the X-5’s viewfinder diopter adjustment delivers a consistently clear view of the subject, even under bright sunshine. Create the perfect group shot or a gorgeous portrait with the X-5’s Fast Face Detection technology, as it quickly finds up to 32 subjects in any scene for impeccably focused and exposed faces. * Burst Shooting(L/H) mode – fixed 5M (2592×1944) or 4M (2592×1464) per frame. * Digital Wide mode – fixed 5M (2592×1944 – after Merge) – fixed 3M (2048×1536 – before merge) in single frame. * Frame composite mode, resolution fixed to 3M (2048×1536). * Digital Panorama mode, resolution fixed to 2M (1600×1200) per frame. * Stage Lighting mode, resolution fixed to 2M (1600×1200). Type: TTL contrast detection autofocus. Power source: 4 AA batteries (Alkaline, Lithium, Nickel and Rechargeable Ni-MH), Optional AC adapter kit is also available. For device connectivity. Bundled software requirements may vary.